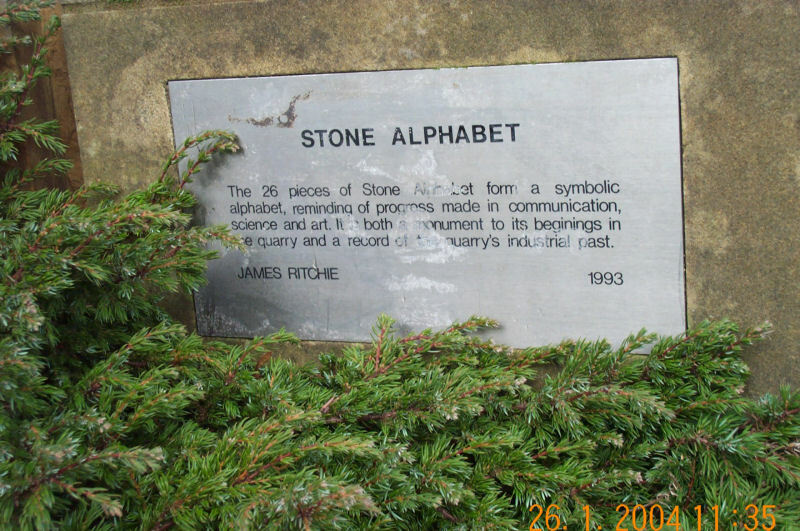 The curved wall beside the road junction forming part of the entrance to Craigleith Retail centre is known as the 'Stone Alphabet' which Sainsbury's commissioned the sculptor James Ritchie to produce. 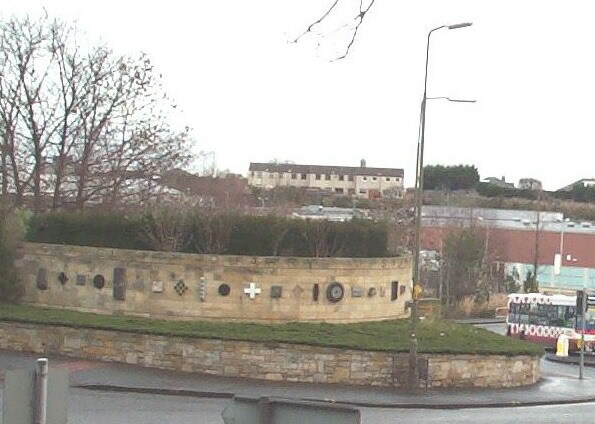 The wall is inscribed with large angle-carved letters in Stainton sandstone blocks, along the top of a curved wall, with 'Craigleith Quarry J Sainsbury'. The wall has 26 different stones of limestone, sandstone, marbles etc from 18 different countries sculptured into various shapes. '26 elements arranged in horizontal bond on a sandstone carving wall topped by a carved ****. ***** form is unique, some multi-part, all abstract and centred on a horizontal line (with the exception of the largest element, a cog-like form, which drops below the others and goes horizontally into the wall). A variety of surface textures, colours and types of stone have been used. Rust forms play on the square/rectangle / circle motif'.